Built on top of a hill looking over our city is Preston Castle a national historic landmark built in Romanesque Revival architecture in 1890. 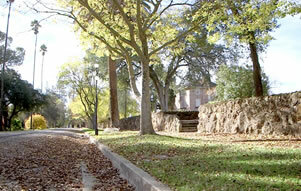 Open for tours and special events. 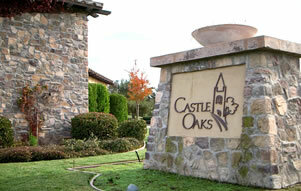 Castle Oaks Golf Club is one of Northern California's premier public courses and a Golf Digest "Places to Play", 4-Star rated course. The 18-hole, Par 71 championship course includes a driving range, restaurant, and snack shack. The Ed Hughes Memorial Arena is the City of Ione's Multi-Purpose, covered arena. It is available for all outdoor activities year round, rain or shine. 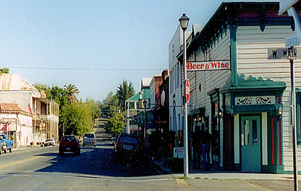 Ione's historic Main Street stretches several blocks. Boutiques, restaurants and cafes make Main Street a popular shopping and browsing destination for both visitors and residents. Business and retail opportunities are available; parties interested in Ione's downtown commercial and historic district can contact Ione's City Manager. During these hot days of summer take care of yourself and neighbors, stay hydrated and check on neighbors who may be sensitive to the increase in temperature. All open burning has been suspended until further notice. Watch out for rattle snakes keep yards free of refuse piles where they hide and nest. If you need assistance with snake removal call 9-1-1 the City of Ione Fire Department has the protective gear and equipment to safely remove a potential threat to your health. If you need to report a concern or request information you can click on Report/Request link at the bottom of this page for assistance. You are an important part of our community and can address the City Council with any concerns at the regularly scheduled meetings held on the first and third Tuesday of each month. Welcome to Ione “The Castle City, Gateway to the MotherLode.” Whether you are stopping by or staying, you will be enchanted by our charming town. Get out and take a look around! Play a round of golf at Castle Oaks Golf Club, tour the historic Preston Castle or take your bike through the gently rolling hills. You will find unique shops and eateries in our town. Parking is easily accessible at our park and ride located on the North end of Sacramento St. Our 100 acre park, Howard Park, offers endless outdoor recreation opportunities. With play structures, a skate park, frisbee golf, baseball fields, soccer fields equestrian center you can enjoy the great outdoors. We want you to enjoy your time here in Ione, for any questions or concerns please click on the Report/Request option at the bottom of the page or if it is during business hours please contact City Hall at 209-274-2412. There will be NO PARKING available on Main Street between 8 and 10 a.m. on Wednesday, April 24th due to the Wagon Train coming through town. The Police Department will be providing traffic control. The City is required by SB 272 to make publicly available a catalog of application software ("Enterprise System") that is used enterprise wide, and refers to a system that "collects, exchanges, and analyzes information that the agency uses" in multiple departments and/or is an original data source. All meetings are held in the Ione City Council Chambers located at 1 Main St. Ione, CA unless otherwise noted.